The Kal-Q-Lated Risk originated from Featherston, in the Wairarapa district in 1967. Within six months of forming, Carl Evenson had been lured away to front the Fourmyula. He was replaced by Ian Taylor. By 1969 Kal-Q-Lated Risk was well established in the lower North Island, but little known elsewhere. A move to Wellington and a contract with HMV turned them into a national success. Their first single "I'll Be Home (In A Day Or So)"/"Rachel, Rachel" was released in 1970. It gained enough airplay for "I'll Be Home" to be nominated for the 1970 Loxene Golden Disk Awards, for which it made the finals. The second single, "What Makes A Man"/"Julia" wasn't as successful, but their third in 1971, "Angelina"/"Love Child", got them into the finals again with "Angelina" in 1971. The song also made it to number 16 on the national charts. The follow up to this single did even better, making it to number 14. It was called "Looking Through The Eyes Of A Beautiful Girl"/"Pixie Rock". The group entered 1972 beaming with confidence and continued to release good singles. "Touching Me Touching You"/"Hold On", "Lady One and Only"/"Misty Eyes" and "Waiting On You"/"Down Inside Me". Ian Taylor left during this time and was replaced by Willie Davidson. 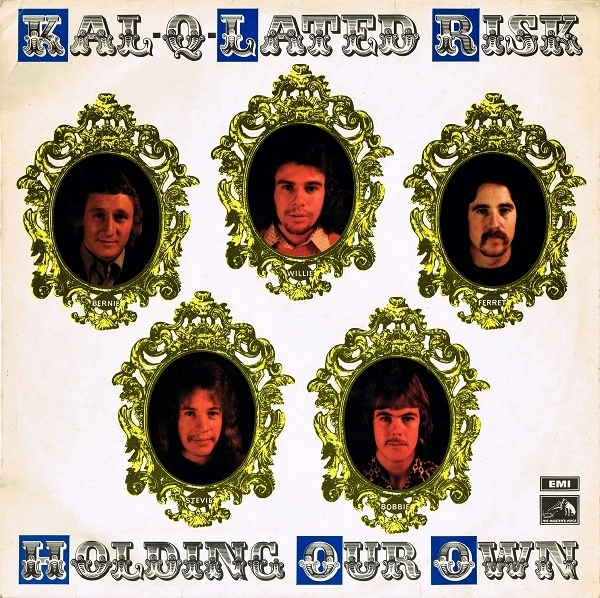 The third of these singles was actually released as Willie Davidson and the Kal-Q-Lated Risk. 1972 also saw the release of their only album "Holding Our Own". The next single gave them an honour, few others have achieved, and that is making it to the Loxene Golden Disk Awards, three years in a row. The single for 1972 was "Lazy River"/"Rock'n'Roll Gypsy's". 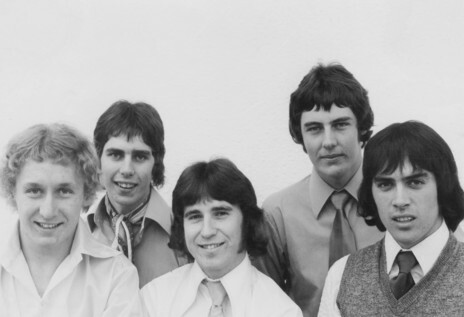 Unfortunately greater success eluded the band and at the beginning of 1973, Dave Cameron and Barry Rushton left the group. They were replaced by Steve Hudson and Bob Coulter respectively. Bob had been previously with Abdullah's Regime in 1968. They also shortened the group name to Risk and released two singles in 1973, "21st Birthday Party"/"River Road" and "Clap Your Hands"/"Nikki Hoi". A final single "Soul Singing Lady"/"Bye Bye" came out in 1974 before the group called it quits and disbanded.